Published Authors have been known to get more rejections on their manuscripts, and some authors never get their written material published. The beauty is that due to technology we are now in an era that we can self-publish and authors have found ways to have their writing read and marketed on social media. 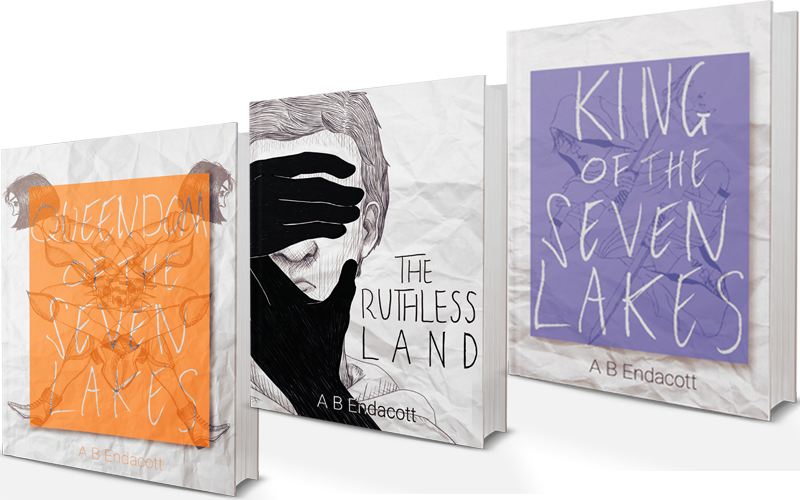 Listen in on today’s episode as we talk to Australian Indie Author Alice Endacott about marketing, design, and print to order. Rachel: Hello and welcome back to the Marketing Whisperer. I am your host Rachel Calderon and I’m your cohost Kathryn Calderon. And today we have a special person all the way from Australia. And she’s actually in the future right now. We’re in the present and she’s in the future. She is a whole day ahead of us, but we’re super excited to have an author on the show. Kathryn: So today we have with us Alice Endacott Alice is an Australian author with an abiding pension for chocolate. She is most happy when she is writing, except for when she is writing while eating chocolate. Welcome Alice. Rachel: So today we wanted to talk to you about a couple things. First of all, I found out that Indie authors are completely different from regular published authors and I just found that out. I was talking to Kathryn and I thought that Indie meant Indian author. So I was like, oh, so is she from India? And she was like, mom, let me school you. And I said, I was laughing because I said it’s okay, you can school me. I’d rather learn from you. I want to learn from you, I’m never too old to learn from, from my younger ones, they keep me on my toes. So Kathryn, did you want to start off the show for the very first time? 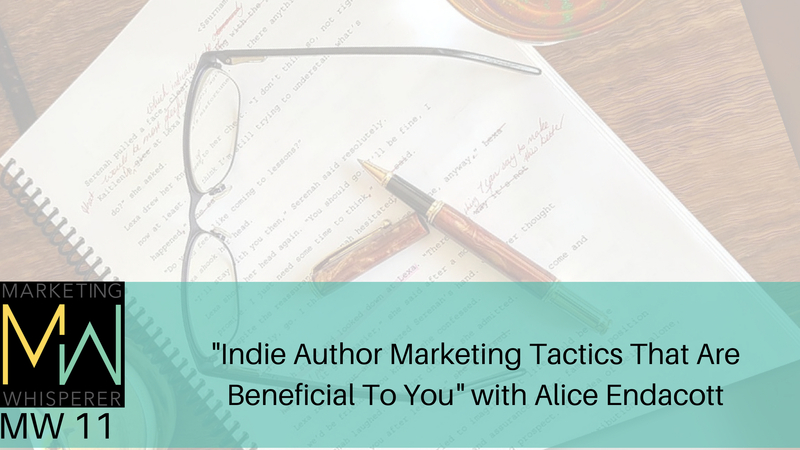 Kathryn: So Alice, tell us what it’s like to be an Indie author? Alice: So, and I’m actually just going to rewind a tiny bit and talk about the term Indie author because given that we’re talking about marketing and branding, I think the term Indie is the first step of marketing and branding because Indie sounds a lot more interesting and I guess creative than self published, which is what I am. So what that meant was I was cold calling or cold emailing a bunch of publishers and agents when I had my first manuscript that I was ready to release and I mean as far as I can tell and as far as anyone rides, you have to really be persistent and some people are really lucky they get, they get a strike gold on the 20th email, some people don’t get a response that’s positive until they’re 300th. So basically that halfway through this process and I think I’d emailed about 12 or 13 people. I realized that because I had a lot of manuscripts that I’d sort of written and it was I wanted to get out there and I realized that I can do, there’s a lot of people trying to get the same thing as me and I can differentiate myself by going down the self publishing route. So Amazon, which is a company I think has a few issues, but what it does offers it offers, authors a platform that they can really easily publish there and material. And we’ve got the introduction of prints to audit technology. So rather than ordering 12,000 copies of my book, which used to be a standard print run, I can now upload it and anyone can own a one or two copies or five or 10 if they want. It’s printed, it shipped to there door. So it’s really cool technology. But what that also means, these Indie authors who either used to have to have boxes and boxes of their own book in the garage was every now or be purely e-book and purely online now have the capacity to have a physical copy that I can hand out to people and leverage the marketing of Amazon. So in a word it’s scary, really scary at times, but it’s also, there’s something really nice about knowing that you control so much of the creative process and what you do. So that’s, that’s kind of, that’s a really, that’s a benefit that I never considered, but I am also a bit of a control freak. So it’s a benefit I’m definitely enjoying. Rachel: So basically what you’ve done, which is what I teach a lot to my clients, is you’re basically developing a platform for yourself. So if no one responded to your book, as far as publishers are concerned, you technically took the backdoor, you went around the back of the, building and you walked right in. It just took you a different route. But nonetheless, you’re still and you have following. You have a nice following. I mean, I know you have Kathryn who loves your book. She talks a lot about, your work and she’s excited about it. And, and I’m sure there are many more that are out there that are enjoying your work and I’m sure that that for you is very rewarding. Sometimes a lot of people think that it’s based on quantity. Oh, if I have a million followers then I’ve made a big. Sometimes you put in so much work and so much effort into this, into writing. It’s nice when you have quality leads, people who really take not only a lot of interests, I mean they’re taking pictures of your books. I know she has, I know she’s 10 book reviews, this is another way of marketing of people to know, like, and trust you. So next time you put out a book, those are for sure customers. Alice: Absolutely. And I think it’s interesting that you say trust because increasingly people won’t trust in a marketing or a marketing campaign to build that trust. So what’s really lovely is that I do have the opportunity to speak to readers and engage with readers on a really personal level. Kat reviewed Queendom of the Seven Lakes off of Net Galley and I can’t remember exactly how she and I started talking, but I know that I messaged her and I, we just, a dialogue sort of began and it was so lovely because I got so much feedback from her and it was, it’s a friendship blossomed and I’m, I’m finding a similar experience with and I changed tack a couple of weeks ago and I started really looking at people who are on Instagram in Australia. I’m sort of, I guess leveraging the national pride or the patriotism to ask for reviews and ask for engagement and it’s interesting because first of all, I’ve learned a huge lesson in which people are actually really nice when you approach them and ask them know, would you be willing to do a review? Most of the time they’re absolutely thrilled and, and willing and generous with their time and the social media, the space that they allot to you. And so that’s, that’s a lesson I learned because I used to, there was a time when it was really far. I think when I first messaged Kat I was like, what is, she doesn’t want to keep reading when I’m reaching out to her, but that’s not the case. And those are the people that I hope your, I’d love a traditional publishing contract. But if I get into that pool and into that league, the people that I’ve got now I really like to take with me, if that makes sense. So I’d really like to ensure that they’re still the people who are reviewing, so they’re the people who are getting asked because there’s a real authenticity of a relationship there between reader and writer and that, I mean from a cynical cold marketing perspective that looks really good. But from a, from the perspective of someone who’s just, it’s really lovely that I can have one on one dialogue with paypal and I can know exactly what they think and exactly how they feel and know that the characters have meant something to them. Rachel: You’re developing a relationship. But we did a show a couple of weeks back talking about how to use the power of your audience, how to engage with your cold market. And those people, seemingly would never connect with. And like you said, you just. I looked, you checked on your social media and you just put some feelers out there by saying, Hey, would you review my work? You see, what you’ve done is that you gained, a friendship, you’ve gained a whole lot more than you probably had originally anticipated, which is awesome. And, that’s good. So I liked the fact that you can control, especially these first few books, you really want to know are these people really enjoying my work? you’re getting like real personal feedback. Rachel: Absolutely. I would agree with that. Same thing with us. Rachel: I’m sure. So, Kat, you want to ask this next question? I know that she’s excited. Kathryn: So how have these books brought you credibility? Kathryn: That’s interesting that you say that because I always think fantasy writers deserve a lot more credit than they get because I think personally that it takes a lot of creativity and a lot of brain power to come up with this whole new world. Do you know what I mean? Like the way we always sit around like this is our world, we know our world and it’s easy to write about our world. It’s a whole other thing to create a world that’s not our own and then you have to create it in a way where people are going to be interested in it. People are going to be like, oh, this would be a cool place to live. Or Wow, the way like where we can envision it because our brains, it’s hard to envision things that are not ourselves that are not the norm. You have to really envision another world. So like, like she was saying in Ruthless Land I have to like really like turn off my brain and envision a society where it’s the men are subservient in the women are like in power. The first chapter. Like the guy was like, there was one guy who was unveiled, Jack I forgot the name Jackson. And one of the females were oh, cover up. I don’t want to be near you And it’s like, that’s so weird to think about, in regular society. So I think that Fantasy writers should be a lot more respected because I mean, it takes a lot of creativity and willpower to make a whole new world. Alice: Well, thank you for saying, I really appreciate that. Yeah, it’s an interesting one because when I was reading especially “Ruthless Land”, it’s fascinating how my gender bias works because I kept, they would interact with this a storekeeper or Tavern owner. And I kept on writing it as a He, initially and I had to go, no, no, no. Why would a man be doing this by himself? No, not he wouldn’t stop, make it a woman. Whereas him and he’s in the background following her road is. But I had to work so hard to be cognisant of that society that in which I was my own society of creation I guess. Rachel: Well we had another question regarding design. Kathryn: How do you go about getting the designs of your book covers? Alice: So I think I’m really lucky in that I know some very creative people, but basically the design. The first two, Queendom and King, the illustrations were done by a young woman called Ellen and she happened to be a student of my mom’s. My Mom’s a piano teacher. Ellen was in the twelfth and final year and I was saying to them, oh, I need an illustrator. And she said, look, I know this is, I know you as a school student might not be up your alley, But Ellen is good at everything. And I thought to myself, okay, well come on. No one can be that good. She is, she’s good. She’s good at everything. I met with her and I sort of thought, okay, well I’ll even say, I mean you’re never gonna have the refinement of say a CGI University student or a trained graphic designer. But I also wanted something different and I knew that I really wanted something very eye catching, very different to traditional fantasy covers. And I sort of thought, it doesn’t matter if people hate it, I want them to remember it because all fantasy covers and all genre covers, they all kind of look a bit this time to be perfectly honest and fantasy especially. It’s like a black screen with a symbol image of a black back drop with a single image and the authors name at the top and title down the bottom in silvery writing. And I thought, well, in one way it’s good, right? I mean you guys are a marketers and designers. It’s important to demonstrate that you fit into a genre. And an easy way to do that is to conform to a visual expectations. But the problem is you don’t stand out. And I’ve looked through my local bookstore and the fantasy section and you pick up one book after another and they could be interchangeable. So I wasn’t, I wasn’t happy for that. I wasn’t going to stand for that. So part of the reason I went with a student or a younger person was because I figured she’s not trying to a graphic designer, she’s not trained in that way to think in that way, so she’ll produce something that is instinctive and different. So she produced the drawings and then my boyfriends sister that’s a graphic design student and because I’m an Indie author, you don’t have a large budget, you don’t have a lot of resources. So I said to Marcus one day, I said, look, would you be interested in doing this? And he said, first he said no, but then he said, then he approached me and said yes. And so we went with it and I think when he and I both learned a lot about, how that process should work. And so we’ve really refined how we go about it in the last two covers that we actually have a meeting and we work on mock ups. But I said, I basically said to him, I said, obviously I have to like what you do, but just pick something different, do something weird and different and use this illustration. So I probably did a bit of an unfair thing to him and giving him an illustration because in Ruthless Land he said, look, let me off the leash. Let me get my own illustrator let me go in that way. And he did and what Nicole did is, is great. I really like it, but he. 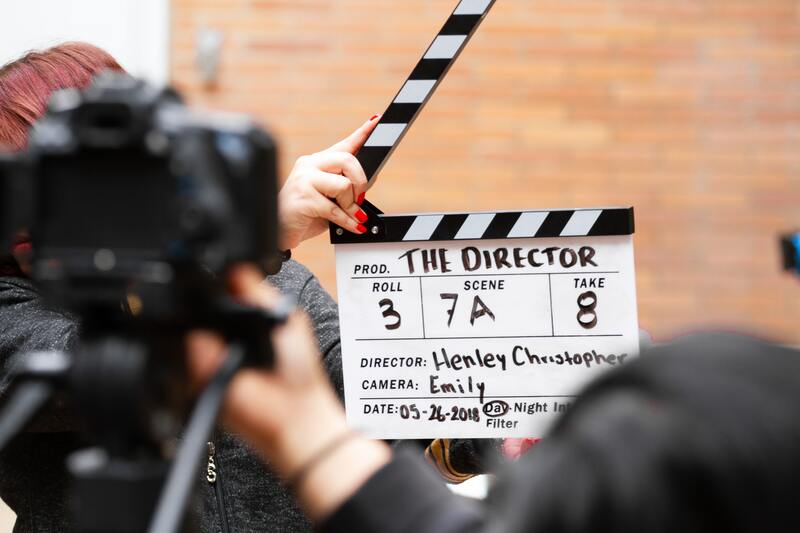 I was really fortunate in that working with someone who wasn’t necessarily hugely professional in that sense, that being inducted into a firm or into a professional contracting environment behavior, meant that he was able to kind of work around my unprofessionalism. Let me get my own illustrator let me go in that way. Rachel: No its not necessarily your unprofessionalism. I was telling Kathryn, I said self published authors really have a lot more control. I’m not, downing any publisher, but in a way it’s nice that you have the opportunity to have creative autonomy. Alice: Absolutely. that’s a good thing and a bad thing. Rachel: It is, there’s good and bad in everything, but you know what you’ve been able to, in such a saturated market, you’ve really been able to stand out, you’ve taken the time to look and to see what fantasy authors have out there, on top of that you’ve taken the time to really, pull creativity from someone who you normally probably wouldn’t have hired or in your mind you did not think, I’d hire someone who did not have that so called expertise and look at the beauty that you’ve created. You see we will have the ability to create something beautiful, but we have to, we have to see that. Sometimes people get more focused on or are they’re a publisher or they have their degree, they have this, they have that. And the thing is that with you, you were able to really put together all these elements that created what you really want it at the end of the day. Alice: Absolutely. Well, I mean I had no idea what Marcus was going to produce. I kind of had in my head one idea and he, he sent me the cover, he sent me a proof a mockup of the cover and it was, it was so unlike anything I could have been envisioned and that was how I knew it was perfect because I even, I’m influenced in my expectations, influence by the books that I read and the fact that I’m am so deep within books that I’m exposed to that, but it’s an interesting point that you make that publishers and people who are, 15 years into the industry, I don’t always know best they know it’s safe and publishers will go with stuff that’s safe more often than not. I think one of the reasons why fantasy is, it’s a really odd one because publishers don’t often like fantasy. I saw a note sort of fantasy fantasy doesn’t sell except it kind of does like when it sells, it really sells. I think that’s the interesting but I think publishers personally, I think the publishing industry is going to be shaken up in the next five to ten years. Especially with the introduction of the print to order within Amazon, but it’s the notion of the gatekeeper and all, well, we know what’s best and we know the market, but publishers don’t, agents don’t, they think they do and they, they will kind of go this rap between a known quantity of, well, people liked Vampires and Werewolves in the past. Therefore a Vampire and Werewolf book is probably going to sell in the future. And well this kind of book is it’s gonna appeal to a sense of, or we’re being socially responsible. So I’m very cynical about this, I guess a bit. I think it’s important to remember that just because you’re working within an industry that can limit you, that can really, really limit what you think because of your biases and of I guess sales targets and all that kind of stuff. Rachel: And talking about the designing of the book covers. What I, what I talk about also in marketing is disruptive marketing. So basically you really disrupted. You’ve really disrupted the norm, which I love. I absolutely love that idea. You’ve taken this idea and you have just, run with it and I love it. I love the fact that you’re not having a publisher it’s great because they market you, they do all that, but they kind of like do the same thing and we talk about that disruptive marketing. We talk about thinking really outside of the box and most people really don’t know what outside of the box really means, but this is, this to me is like ideal because it’s awesome that you took. What’s the norm? You said, okay, let me see what’s different so that I can get this out there and, and I want to interpret it in my version. I don’t want anyone else’s. I don’t want to do it. Like every fantasy book. I want mines to be different. I want mines to go with my theme and you’ve created something amazing. I know she talks about the illustration shoot while she’d love some book. Here you go, Kathryn. I’m going to just, I’ll just give you the rest of the show. Kathryn: Well, with the next question actually, like another question came to mind, what you were talking about with the whole disruptive and the publishers. So one, so this is like a two on one question. So how do you market yourself as an Indie author and have you ever thought for future books to do the preorder incentives the way a lot of authors do to get people to preorder their stories and stuff? Alice: Those are two really good questions. I do like, it’s one of those little things where I do have a plan, but if people asked me to elucidate it, I’m kind of like sell stuff be cool and I think this is a weakness of mine and then I do fall into the trap of thinking that social media and social media successful presence or engagement is an indicator of success, which it can be and it can lead to sales, but that doesn’t mean that it will. So I really, for the last couple of weeks I’ve been really just tunnel visioned about the Bookstagram community and so interestingly enough, my followers I couldn’t get them above a certain number, it kept on falling back and slipping back and slipping back and that was really, that was really kind of, I didn’t realize how much self worth I’d actually attached to social media followers. And then actually last night, so yesterday morning for you guys, I, because my, my Instagram isn’t just books, it’s woodwork, writing, and wondering because I have a lot of trouble photos and I like to share them. Rachel: Yes. I followed you this morning yesterday. Your time. Alice: I will come and find you. But yeah, I tried to, I tried I guess marketing strategy is being different, offer something different. Offers something that is not quite the same as every single other author out there because I mean you yourself said Rachel, It is a saturated market in so many ways. So my Instagram is, Twitter, I just don’t connect with very well. And I don’t think I use Twitter hugely well, but it’s good to like link articles and if I don’t use it, I’m cutting myself out from a certain demographic in a certain readership. But Instagram is, I think a real strength, but it’s tricky because I do have a lot of breadth but not always a lot of depth across the photos because I’ve got the three streams in the three themes. But but yesterday I went through and I started really just scrolling through hashtags related to woodworking and travel. And it’s also really nice because it gets me out of the headspace of, oh no, but why do people love my book and why aren’t people Instagraming my book, why won’t this person follow me and just think that they should read her books. And so I thought, I was just engaging with beautiful pictures of Spain and South America and America North. And that was actually a really lovely thing to get at my headspace. And suddenly my follower account jumped by like 10 or 12 people because I was engaging with those streams and with those people. And yeah, it’s time consuming, but I think in the name of, we were talking about authenticity before you have to invest time in connecting with people on a personal level and that’s how you build a really amazing following. In terms of the preorder, that’s a really good question. I mean Ruthless Land is out for preorder, but I’ve, I only made it freely available for preorder so that people knew it was coming out. Not, not because I’m desperate for preorder sales. It’s definitely something that I investigate in the future and I think I kind of feel like I need a slightly biggest social media footprint before I start doing that and before I start, and then I could do something like a giveaway so I could say if I screenshot me a picture of your preorder and you’re in the running to win some stickers. I made some stick is with the new cover because I was making business cards and it was available and I’m a sucker for that kind of strategy. But like I could do something like that for sure. I think I’ll white until I have just a little bit more of a footprint and a little bit more of a following before I do that though. Rachel: Absolutely, They’re going to take your information and they’re going to do whatever it takes. Why? Because you’ve gained a likeness with them. You talked to them and of course I’m sure now Kathryn will tweet you and she’ll do everything that she can know. I have to do this for this author. I love her work. I love her. We, we talked on zoom and we had a great conversation, so you see that that’s the power of social media engagement, so this, these things will help you. If you have ten people who are solid followers, take that same technique and say, you know what, I’m going to do something for my ten, my faithful few, because those faithful few will take you to the next level. Alice: Definitely. Well, so that the preorder, I think I’ve not to be perfectly honest, I’m not sufficiently, the ideas only really came in the last couple of weeks, but scented candles in the center of like different characters and stuff, they’re really big at the moment and I find I’m a little perplexed by it, but, I’ll run with it. So I actually contacted this Australian company that, they’re small, but they’re growing, Can I commission you to do some character scented candles, the two characters from Queendom and King and as a thank you to all. Get ready, Kat I’m going to take some of those candles and them out to the reviewers who have been realay positive and really wonderful, but I think for the next, the next preorder. So the next book will come out probably late November, or early November depending on how things go because I’ve got the manuscript written, it’s been written for two and a half years now. so because I had this, this is, and that’s what pushed me into Indie publishing. I had so many manuscripts that were just piled high of the same series and they were getting higher and yet it was getting more and more and more and I thought, well they doing nothing for me sitting in a drawer. I publish them that can take me somewhere and they did a differentiator if I’ve get into a meeting with a publisher. But. So for the next one I’m probably going to, it was, there’s another company that they do single bath salt, like single use, a single, I don’t know if you have a serve of a bath salt, but it’s a single serve of bath salts. And so I was thinking I might get in contact with them and commission them to do like a, like a fourth country scent and send it out like, if you preorder and you tagged me and you show it to me, then you go in the running to get like a little pack of Pamper Yourself, like a member of like the seven families of the second country. Kathryn: Oh that’s cool. It’s also really different because a lot of them are just like, you can get like this like bookmark where or you can get, It’s usually like a bookmark or a signed book play. Like you don’t get any. I mean it’s so cool. I always still take part because I’m like, I want the bookmark, but it’s usually a lot of the same things. Like it’s very rare that they do like Victoria Schwab she recently for Vengeful did like tote bags in the style of one of the characters and those are cool. So I was like, well I want bad. Like Renée Ahdieh she wrote The Wrath and the Dawn, her recent preorder incentive was if you preorder the book, you actually get the paper back of a book of the first book. That was really cool because I’ve never seen an author do give away like that but she’s with a publishing house, it’s a little bit easier for somebody who’s been published and sold how many books she has to do, a preorder like that, that costs money, that’s basically giving away tons of free books. But I thought it was really cool. Alice: I was talking about that with the student. I don’t want to just kind of have a candle, scents that I get out it’s what everyone else does. So what can I do? Cool things like lip scrubs as well. Yeah. That kind of little little pamper pack as well. The only concern that I have is very feminine based, but a lot of more women men use social media sites like Good Reads and Instagram because women are just a bit more community minded in that kind of stuff. Men reading as a solitary, it’s a solo activity which is quite quite interesting. Rachel: Right? And, that’s something that you can test to market as time goes by. You can actually find out, if I were to, give out X, Y, Z, as an incentive, would you as a male, be interested in…? Rachel: There’s guys that, that actually get their feet done. They go to the spa and they get their feet done. Rachel: Never, omit any idea. Alice: And social media is amazing for that because you can direct it is. And she said this, she probably didn’t say express, but it was the first time I’ve ever heard it. Kim Kardashian, she was being interviewed by this media company and it was, it was one of the things that turn me on, turn my opinion of her because I said I shouldn’t have to justify why she’s here, but here are all of her steps in terms of businesses that she sold and way she leverages Internet marketing and through the course of this conversation Kardashian said, well, Twitter is amazing because it isn’t automatic focus group. If I’m looking at different shades of same Magenta for a bottle, I tweet it and I’ve got immediate feedback. I can read what they honestly think and there’s no marketing company that filters the results for me or interprets them. I save them. I guess the only caveat is that you need to make the right call. You need to be the person who is savvy enough to interpret those that information for yourself or you need to have the right ide, your instincts need to be right. Rachel: But even if they’re wrong, then at least okay, well this won’t work. See, and that’s where you go into what we call critical and creative thinking about your marketing, you’re really taking all avenues, you looking at opportunities, you’re looking at threats, what could, what could really impact. And again, when you get that little, that little mindset flowing, that creative mindset flowing, you can be endless. So my next question to you is, cause we think big, we don’t think small. Would you consider. There’s two things I’m going to ask. Would you consider making your books into audio since now Podcasting and audio is all the rage? And also just to up one more for you, what do you consider one day making these a movie? Alice: Definitely, definitely. I’d never, I never would rule anything like that, that ever. I know like obviously I think every author, secretly, once their book to be made into movie. I’d never, I never would rule anything like that, that ever. I know like obviously I think every author, secretly, once their book to be made into movie. Alice: You can’t be mean enough your too nice. Rachel: She does because her sister as a script writer. So she plays all the mean people. Alice: Oh, that’s, that’s a good relationship. yeah, I mean I know that the journey to getting a script made into a movie is, is not an easy one. A lot of authors and books have been on, like Autumn is Foul, which is really cool, that’s been, I think that’s been auctioned and being in the works as being a movie for the last 20 years or something, 20 year old book, but yet for almost as long as it’s been out, it’s been a movie that’s been trying to be made and it just hasn’t kind of worked, but definitely I’d never not considered that. Letting go of that creative process would be tricky because I can say like some creative direction that a producer or a director or even a script writer would want to go with and I can see myself being consulted on it and just kind of being like, no, no, don’t do that it’s wrong, like you’ve got to let go at some point. Audiobooks, definitely. It’s, it’s definitely an untapped market that I’ve, I’ve really just not, not looked into and that’s I think something for me to explore in the next 12 months that that’s the next step of making it more accessible and more available. Kathryn: Actually it’s funny that you mentioned that about like the whole creative direction because my sister, like she was saying she wants to be like a director, so we kind of do script writing together. So like I help her with the plays and stuff like that and we actually have like tons of ideas for movies and we actually want to eventually kind of create production company and to produce movies and like one of the things that we want to do is like do books to movies, but like we want to do light books to movies where we can be, where we can collaborate with the authors. Because that’s, to me one of the biggest issues of why people so many people don’t like books movies is because I understand that it’s like the director and the writers. Like now it’s, they’re taking it and they’re making it their own creative vision. But I feel like one of the reasons why people love that story so much is because of what the author put in. So I feel like, going completely off the grid of what the author originally wrote. That’s why sometimes so many people are like, so they just don’t do well because fans are like, Well that doesn’t look like at all what I imagined. What is that scene, where was this scene like they get so frustrated and that’s why sometimes even authors, they don’t even associate with the movies because they’re like, well that’s not my book. That’s something that we want to do and I think that more production companies should collaborate with the authors because I feel like the movie was just so much better. You have like that input from the author. Alice: So I mean sometimes they’re notable examples where the book has or the movie has gone in a very different direction to the book and that makes it, that’s okay. And that, that makes them sometimes better takes. Alice: No, that, that wasn’t okay. I should know. I haven’t seen it. So I really shouldn’t comment. But I’ve read the hobbit and I do know that it was a small book that somehow got made into three movies. Kathryn: Oh, it was amazing. And I watched some movies and I read the book and I thought the books, the movies was so much better. Okay. I will. For me, the books are very long and droll and like just a lot of the scenes where I thought there was gonna be a lot of action. There wasn’t. And the movie had it and I was like, well that was better. Alice: I, yeah. I mean I re watched a bit of the two towers the other night and that was like, it’s interesting, it’s a 15 year old movie and it’s stood up. It’s really stood the test of time even though the, the picture quality and some of the special effects they weren’t as slick as you might see now, but it was just, you’re exactly right. talking, poking strengths didn’t necessarily lie in his ability to compose the perfect sentence. It was the depth and the imagination. And, and actually the, just the Shia story, and Peter Jackson did do an amazing job. I’m kind of, I’m a little bit scared about model engines. Peter Jackson’s doing, the adaptation of mortal engines, which was Phillip Rave book and it’s probably one of the most. I’m almost go back to reread it because it was such, so, so powerful. But I’m both excited and the little little scared to see what he does with it. 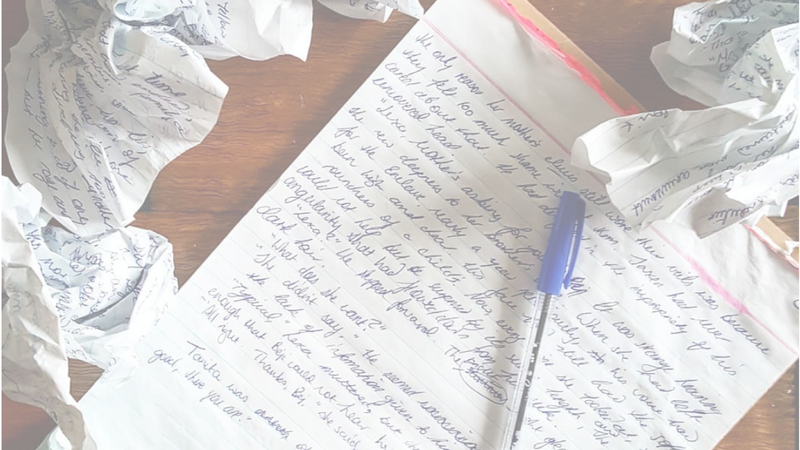 Kathryn: In two to three sentences, tell us what’s the writing process like for you? Alice: Planner, not Pantser or architect not gardner, that’s the first one. I know, I plan, I love to plan, I love plans. And figure out what the core of the story is. It’s about this or this is what they do or this is the problem, but what is it about? So, so Queendom it’s actually about family that was, that was my core drive. Kingdom or King, That was about two things. One was when people, it was about like loyalty, really loyalty and friendship and when your torn equally between two things, one of them is at the end of the day, the trump, and Ruthless Land, It’s about loving someone even when they do something that’s not good. So I think those are, those are my two principal also like, have generally, if I’m stuck I will say to my boyfriend, I’m like, okay, Mitch, I need you. I need to run something by you. And generally have a problem with the characters in a personal situation that they go through and he’s great because he’ll sit there and I will talk. He will not open his mouth once and I’ll kind of just took myself to the, to the conclusion that I need. I was like great talk Mitch thanks! You’re always the best and he’s like, sure. Kathryn: You’ll talk yourself through the problem with me and I’m like, good talk. All right, glad I could help. Alice: I guess have someone who you can or know how to get out of your own head, even if that’s never having the other person say a word. Just looking at their face sometimes is enough. Rachel: It’s so true. It is so true. Rachel: Well, Alice, we want to thank you so much. I mean there’s a lot that we’ve learned about Indie authors, or at least I did. I know Kathryn has known about this for awhile, but it was actually great because this is something that we want our audience to really understand the power behind self publishing and although you do fantasy books, but this can be something that even business owners can really take on something that they want to write about, that they have, even if they want to do it on their, if it’s something that they want to do on their own time, having nothing to do with the business, but I think that book writing puts you in another level. It gives you that authority that you need and people respect you. It’s like you just gain a whole new, a whole new level and the fact that we are in the era that we are in today, that we have the power through social media to become so powerful and create our own platform. It’s bar none. Amazing. Alice: Yeah. You’ve just got to take it, take the opportunity and don’t. Don’t be afraid. Alice: Look before you leap, leap anyway. Rachel: Exactly. That’s why I was telling you earlier. Don’t, don’t let anything stop you just because you have 10 followers, go for it. Give them, give them something back, these are people who have been the faithful few and it’s, it’s amazing. You never know with that little bit how far you can catapult what you have in mind, your dreams and opportunities that you will have in the future. So we want to thank you. Alice: Thank you so much for talking to me and asking me to be on your podcast. Rachel: Yes, we are excited and I know Ms. Kathryn here is very pleased. When I asked her, I said, hey, can you get an author? Yes, I can. She right away. Got on her instagram and she just started. I have this person and , yeah, this person she picks a favorite one. So we want to thank you again for being on our show and for sharing a lot of good information because we also gave marketing tips for people to be able to market whether that be for business. Again, we cross over on every level like if you have a business, if you’re an author, it fantasy which whatever genre you’re in, we use it all because you never leave anything on the table. Never leave money on the table is what we call it. We use it all and we see what works. Alice: I’ve definitely picked up something from you guys about like the way to manage giveaways and to engage with them. So thank you. Well thank you. Rachel: Nice to meet you guys. Alice: This has been wonderful and it’s been so wonderful to talk to you and of course you Rachel as well. Rachel: Thank you so much, Alice, for being on the show and to all of our listeners, we want to thank you once again for listening to the Marketing Whisperer. Please be sure to visit RachelCalderon.com. Look forward to the next episode. Bye Bye.